Ocean superstar – Dr. Sylvia Earle – works through Mission Blue, which aims to share her lifelong love and commitment to the sea, creating Hope Spots – marine sanctuaries, all over the world. If you haven’t seen the Emmy® award-winning Mission Blue movie on Netflix, that’s so what you’re doing tonight. You will wake up tomorrow morning an ocean defender and Sylvia super-fan. ASHER JAY! This wild creative is an international adventurer, whose stunning paintings, sculptures, installations, animations, ad campaigns, and films all have a single purpose: to incite global action on behalf of wildlife conservation. 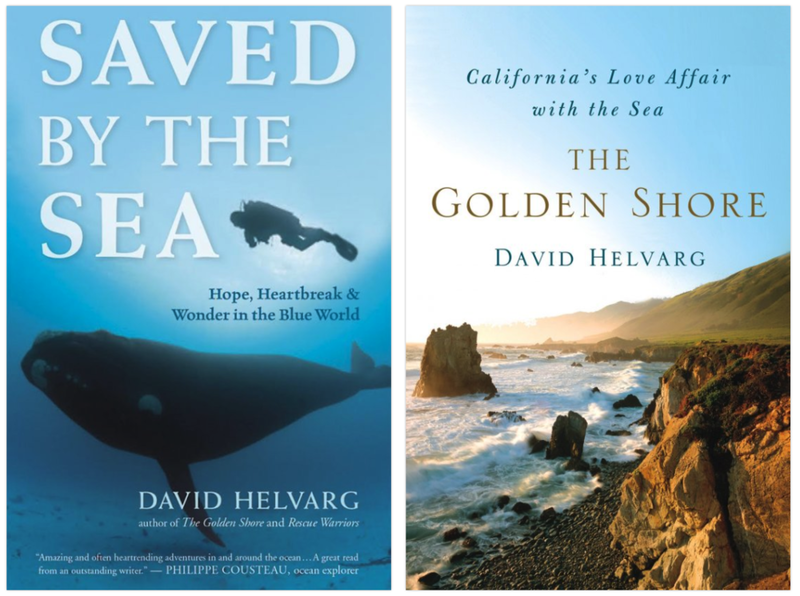 Writer David Helvarg runs Blue Frontier and is organizing the March for the Ocean in June. Click here to find out what he's up to, or to buy one of his wonderful books! You love the Aquarium but did you know they also support a non-profit oceanographic research center, right there on the “Serengeti of the Sea”? Eu-PolarNet: the world’s largest consortium of expertise and infrastructure for polar research. The NSIDC is in Boulder, and from this picture, it sure looks like it. The Norwegian Polar Institute -- they have an outstanding section for students looking for information. They'll answer your questions! This fantastic Canadian television show! The 360 degree footage is pretty amazing -- move your cursor around to see all around you as you visit the Polar Sea. SIERRA CLUB! Do yourself a favor and get your hands on some John Muir books. Meanwhile, let's try and stop that mega-mall at the Grand Canyon, because you better believe that Yosemite will be next. The kind of lawyers we love. Golden Gate Park’s Natural History museum, aquarium, planetarium – all under a green roof. They’re working on sustainability issues and promoting science. There’s the popular penguins, and a famous white alligator named Claude. NASA's climate change site -- big and beautiful! Pour yourself a glass of something nice and spend some time here. SEA SHEPHERDS! How much do we love these people? Scripps Institute of Oceanography! These La Jolla heroes are conducting scientific research with one of the largest academic research fleets, on a pretty big campus – the ocean! Also, go see their wonderful Birch Aquarium. Coming soon! The Climate Change Museum in New York will be the primary cultural and education institution dedicated to climate issues and solutions. Since 1934, the American Polar Society (APS) is the only organization linking scientists, explorers and enthusiasts around the world who value the uniqueness of the polar regions and play critical roles in shaping its destiny. We love them. Here's an introduction to photographer Frank Hurley's monumental work in the Antarctic - he survived the Shackleton expedition, and so did his photos. San Francisco’s watershed conservation supergroup – its six divisions cover scientific research, community, education, and public outreach through the wonderful Aquarium by the Bay, which features an underwater tube to surround visitors with fish, which is amazing! The Antarctic and Southern Ocean Coalition (ASOC) was founded in 1978 as a collaborative effort by conservation organizations from around the world to defend the integrity of Antarctic and Southern Ocean ecosystems from encroaching human activities. Stylish design? Union Jack color palette? It must be ... the British Antarctic Survey! Brilliant idea: coopting all those superyachts traversing the oceans into platforms for marine research. A global coalition of mariners, corporations, divers, scientists, and concerned individuals in a public/private joint venture to accelerate solutions to critical ocean issues.